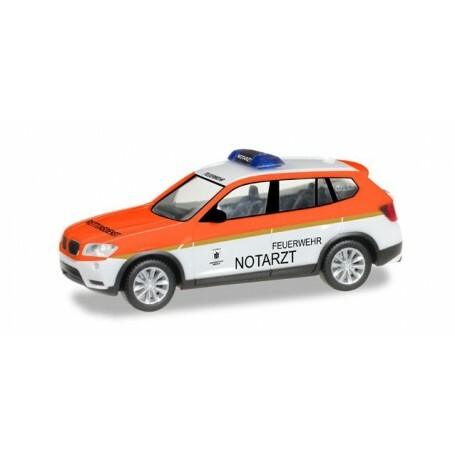  BMW X3 "Feuerwehr München / Notarzt"
BMW X3 "Feuerwehr München / Notarzt"
By buying this product you can collect up to 201 bonuspoints. BMW X3 'Feuerwehr München / Notarzt'. In Munich, the fire brigade mainly relies on BMW vehicles for its car sector, just like this current emergency doctor vehicle. More than 25 imprints make this BMW X3 a production challenge to the Herpa printshop.